It’s only a week until the guide to everyone’s favorite mysterious creature publishes: The Secret Lives of Unicorns. 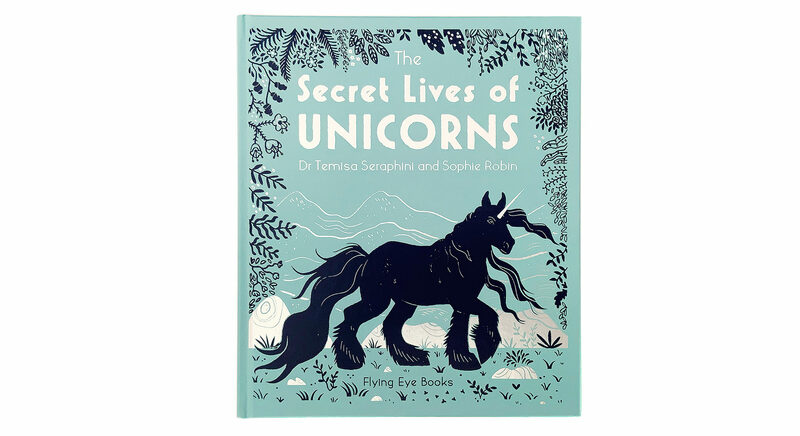 In all our excitement to bring more facts about unicorns to the world, we sat down with Dr. Temisa Seraphini, the writer of The Secret Lives of Unicorns to ask about her personal history with these magnificent creatures. 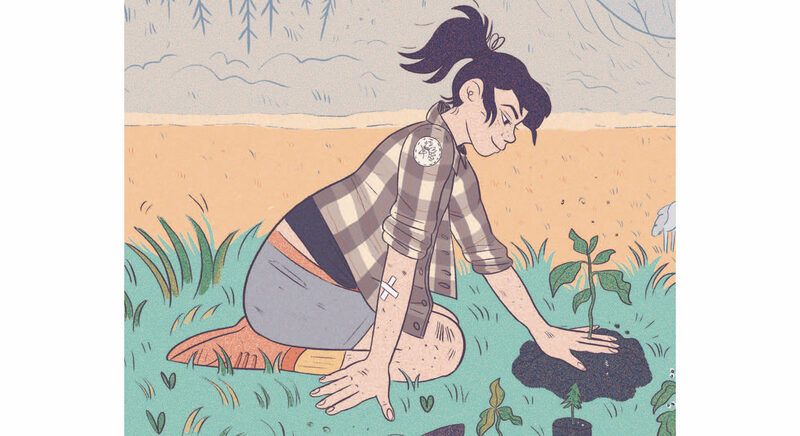 Read on for first-hand stories of encounters with unicorns, historical details, and tips for what you can do to protect this endangered species today. Flying Eye Books (FEB:): What made you want to start studying unicorns? Dr. Seraphini: I’ve always been fascinated by odd creatures – by odd, I mean that they are odd to other people but no odder than most things. I like things that seem to defy logic and puzzle expectations. So from a young age I collected books on monsters, tomes on zoology, encyclopedias on ornithology, and ancient codices of forgotten animals. My local library was small but I was quite determined. What I discovered was that the unicorn was far more present that I ever imagined. It existed throughout history and across cultures in symbols from Ancient Babylon, legends from the Ancient Greece and was even sighted by Genghis Khan. They popped up everywhere. Their image was repeated, and repeated in places that were completely disconnected in space and time. 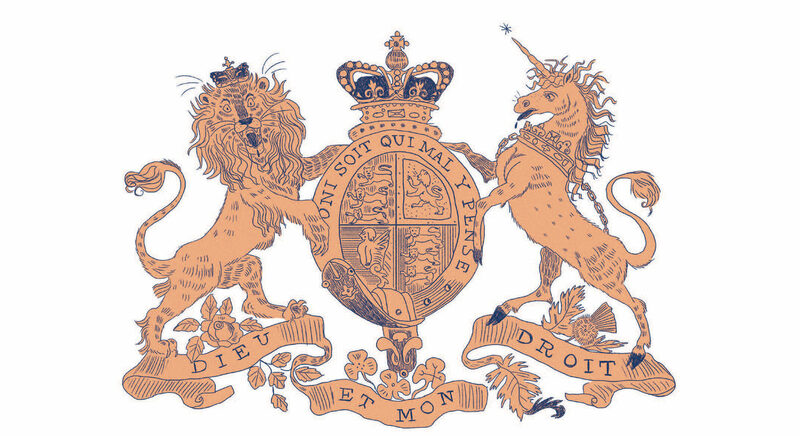 The image of the unicorn still features on many coats of arms across the world—including that of the United Kingdom. It’s also the national animal of Scotland. Who wouldn’t want to start studying something so utterly mysterious? FEB: Where were you when you saw your first unicorn? Can you tell the story of that time? Dr. Seraphini: It was in the Sherwood forest in Nottingham, England. On Saturday mornings I used go walking with my grandparents in the woods. They packed a picnic filled with treats and after lunch they’d fall asleep under the trees, as grandparents do. Once they were sound asleep I would trot off to do some investigating on my own. I used to collect funny shaped twigs, the woods were the best place for finding new ones. I was running about quite happily until I tripped and fell over some protruding roots. I had scuffed up my legs badly and was on the floor weeping when a young unicorn appeared. It licked the wounds before galloping off. It happened very quickly but I still remember how large and curious its eyes were. FEB: Why is it so hard to find a unicorn? Have humans ever tried to keep them in zoos? Dr. Seraphini: They are incredibly shy and don’t tend to venture into human spheres. From around the 5th century and throughout the medieval period they were viciously hunted and caged. They were deemed symbols of purity and much of their anatomy was used for medicine. Their numbers dwindled and for a very long time they almost completely disappeared. 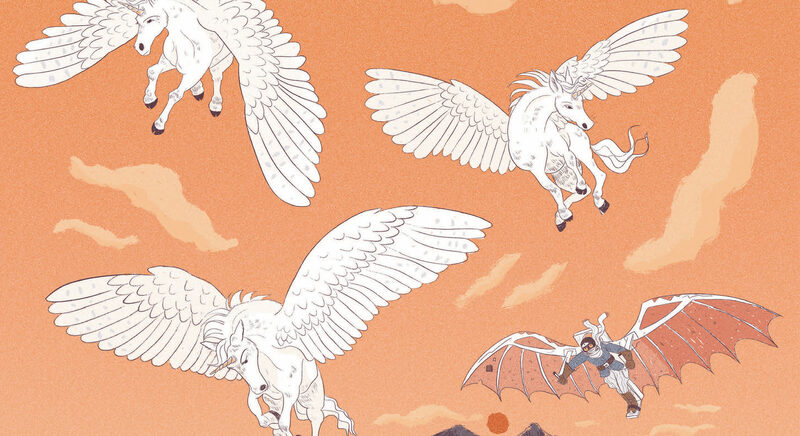 Academics across the world believe that unicorns began accessing a space called the ‘Realm Beyond.’ It’s a haven for all magical creatures, we’re not sure how it was created or when, but we know it exists and we know it is as fragile as our own natural world. With the efforts of the SSU—Secret Society of Unicorns—we’re trying to encourage unicorns back into our wild spaces. FEB: What do people need to know about protecting unicorns? Are they an endangered species? Dr. Seraphini: Yes, they are. 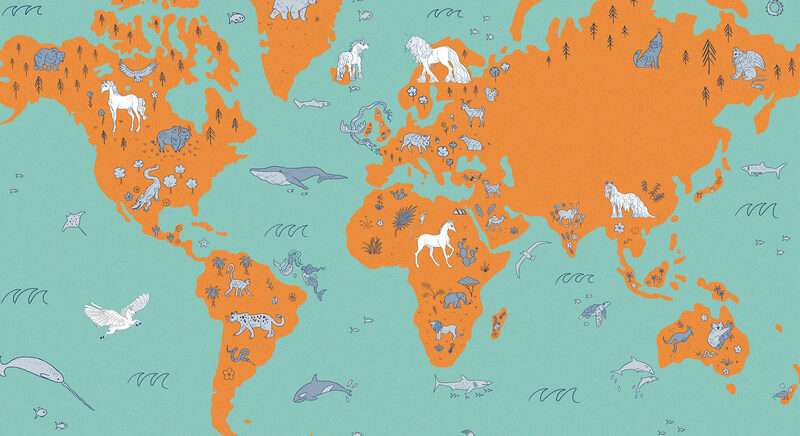 Today the greatest danger is that their natural habitats are disappearing. These are the wild windy moorlands where their berries grow, or dense forests of North America where they have roamed for centuries. They are incredibly fond of spaces of extreme beauty. The best thing we can do to protect them is learn about their habitats and how to maintain the spaces that they love to live in. FEB: What is the most magical thing you’ve seen a unicorn do? Dr. Seraphini: A young unicorn taking flight for the first time. It’s not magic in a sense that it is supernatural but the moment itself was magnificent! It was magic in the way that nature can be magic. Much like seeing a spectacular view that takes your breath away. FEB: What advice do you have for budding unicornologists? Dr. Seraphini: Keep tracking, keep learning, keep fighting for their habitats. And never stop believing in magic, without it the world is a sad sort of place. There you have it! You can find out even more next Tuesday, April 2, when The Secret Lives of Unicorns is available everywhere books are sold! Dr. Seraphini will be hosting a live Instagram Q &A on April 2, so follow along there for details.